Nothing beats a wedding in the South and a Bride wearing Cowboy Boots! 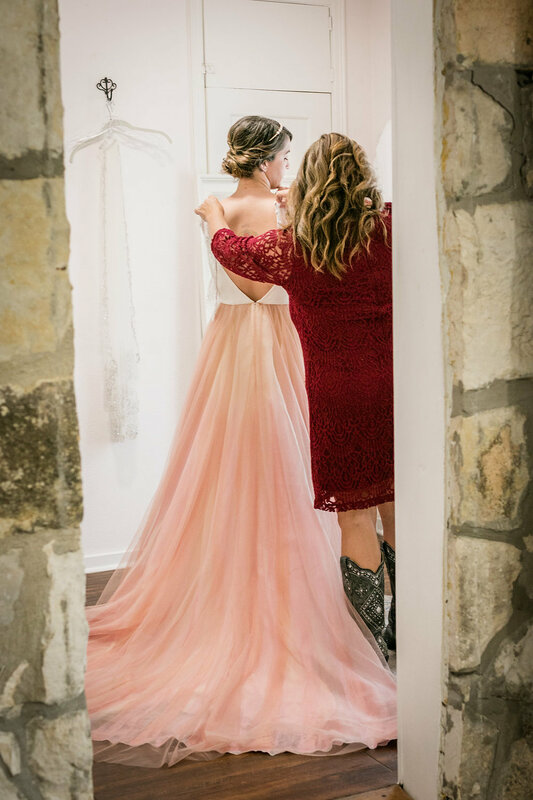 Jocelyn found her Mae Gown at a Trunk Show at Serendipity Bridal in Austin, Texas. Jocelyn was able to work with designers Chantel and Tyler Galloway where they created a one of a kind Beaded lace topper to go with her Rose Gold Hand-painted Mae Gown.